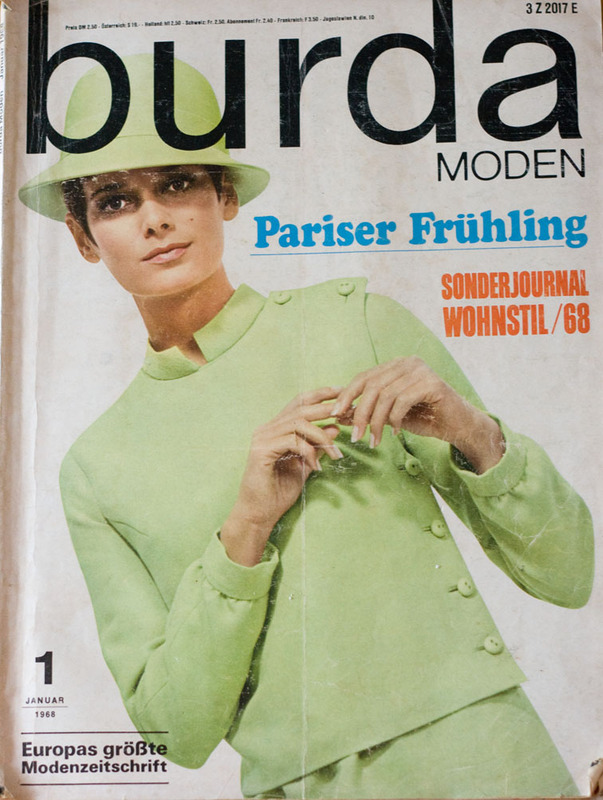 I recently placed a bid on a bundle of ten Burda magazines from 1968 – and won! The sellers were moving overseas and kindly gifted me the other lots that didn’t sell, so I ended up with several more from 1967, 1969 and 1970. There is also one from 1980 thrown in too – it looks scarily familiar, I am sure I actually made some of those designs! Of course there is plenty more – and every time I pick up a magazine and browse through it I discover something new! 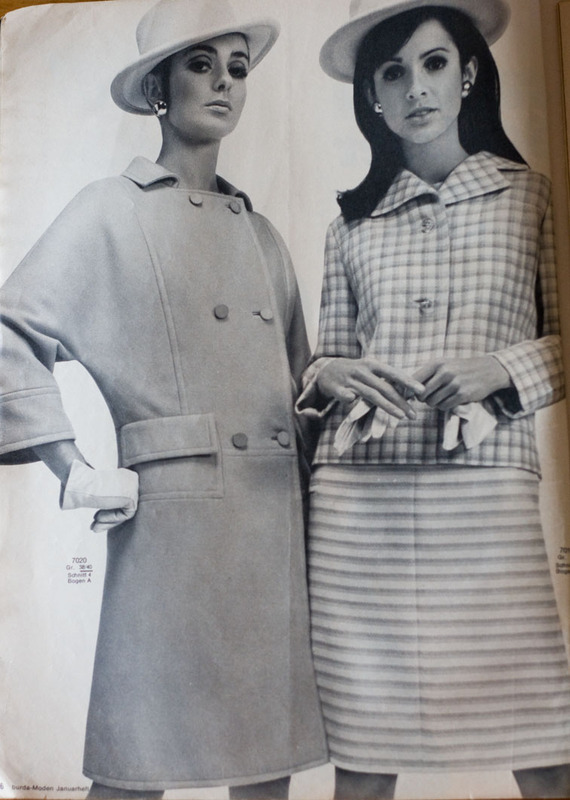 I will try and make the kimono sleeve coat this winter, just deciding what colour….. 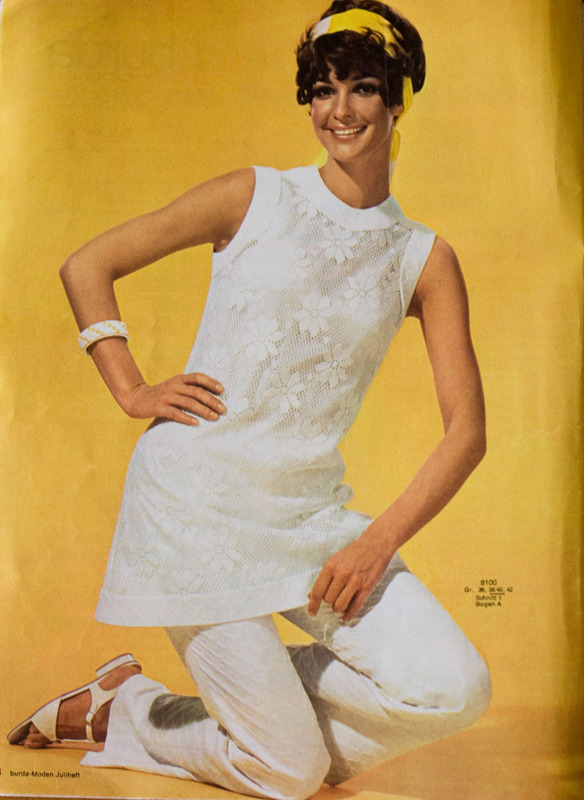 The late 60s is so not my preferred periods, but I do love that sporty light blue dress with the white stripes. Ooh, I predict some fun projects in the future! Glancing quickly at my blog roll, I thought your post read A Bundle of Burqas, I had no idea what to expect. Enjoy your new acquisition. So (sew) lucky!! I admit I am jealous, but also eager to see all of your projects from these. I would love to have those magazines, lucky you! Hurray for fresh reading/research material! 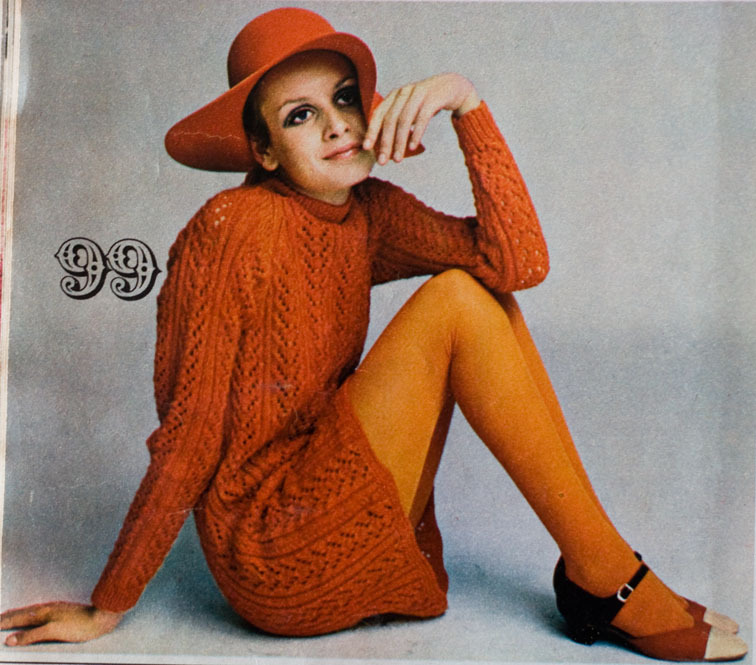 There was much that was good about 60s clothing. 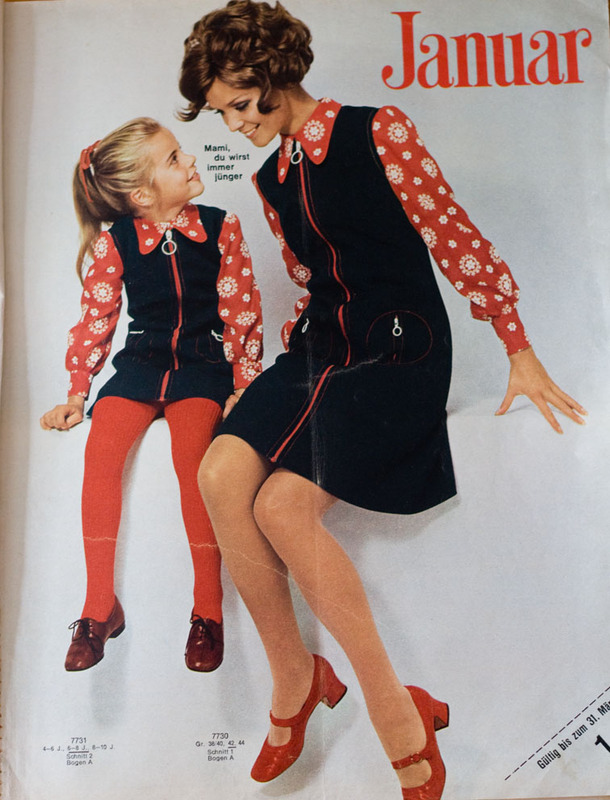 I was just too young at the time to wear the darling suits and “grown-up lady” dresses. Glad that they've come back in style — designers thought carefully about fitting all sorts of body types then, not just the Skinny Minnies. Eek! How fun! 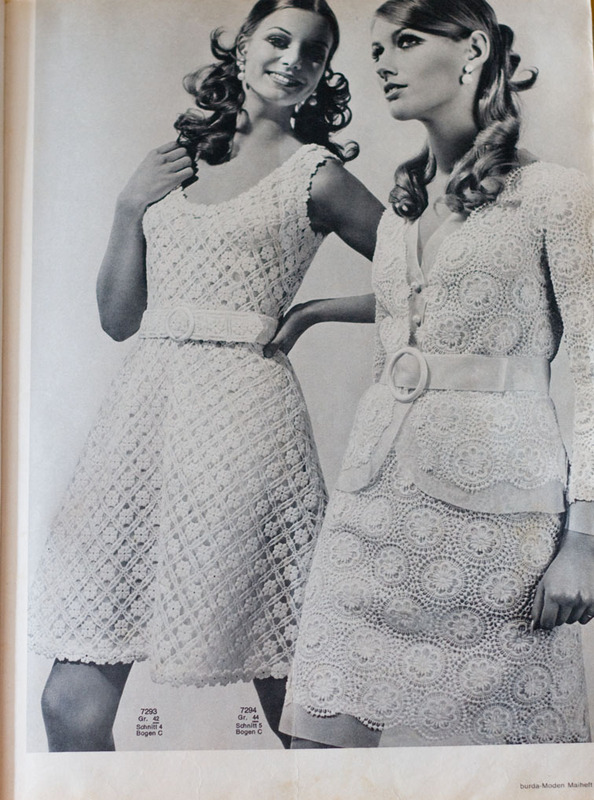 Love the brown dress with the scalloped collar and cuffs, and the light blue v-neck dress. Lucky bird! I would love to own something like that, just for inspiration. Love the coat the girl with the red gloves is wearing. The sleeve length is so flattering! 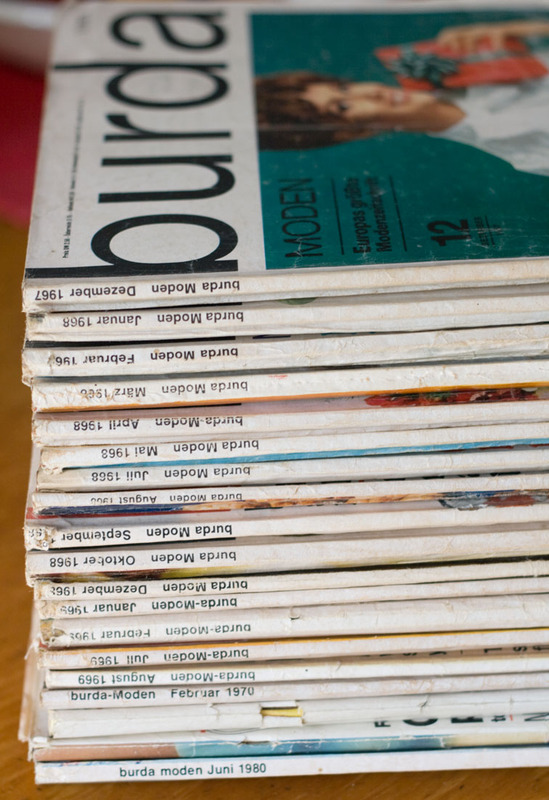 I hope to see your creations from these magazines! Lucky you! 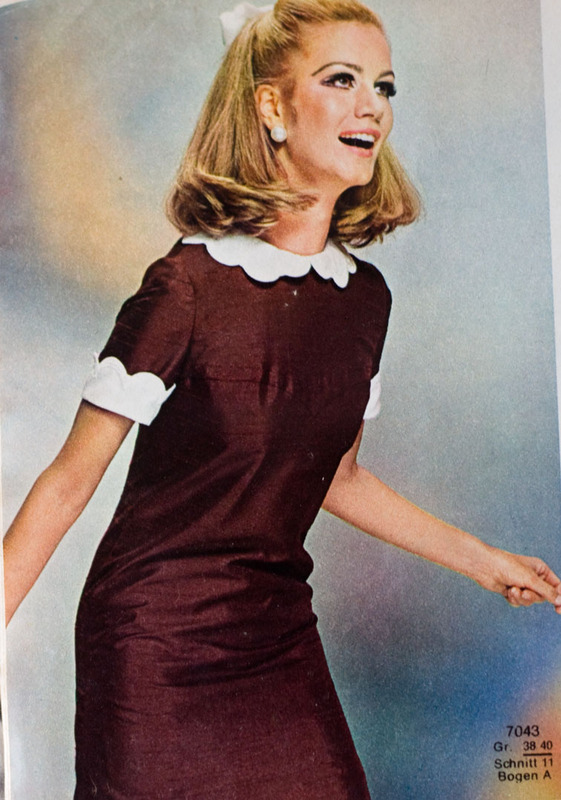 I love the brown dress with the cute scalloped collar. Isn't it funny how trends come and go?!?! Great stuff! I can't find those issues anywhere! Nice! 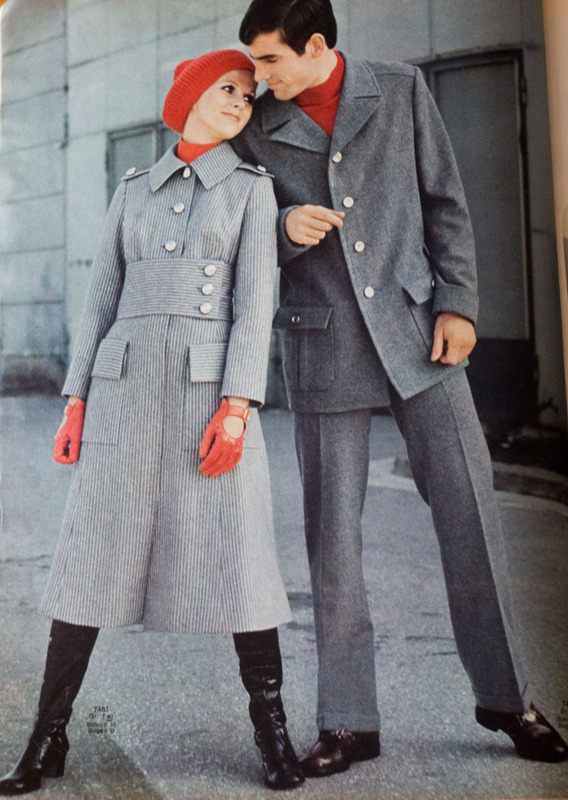 I love the grey coat with the wide belt -and the pinafore dresses too. Thanks for sharing! 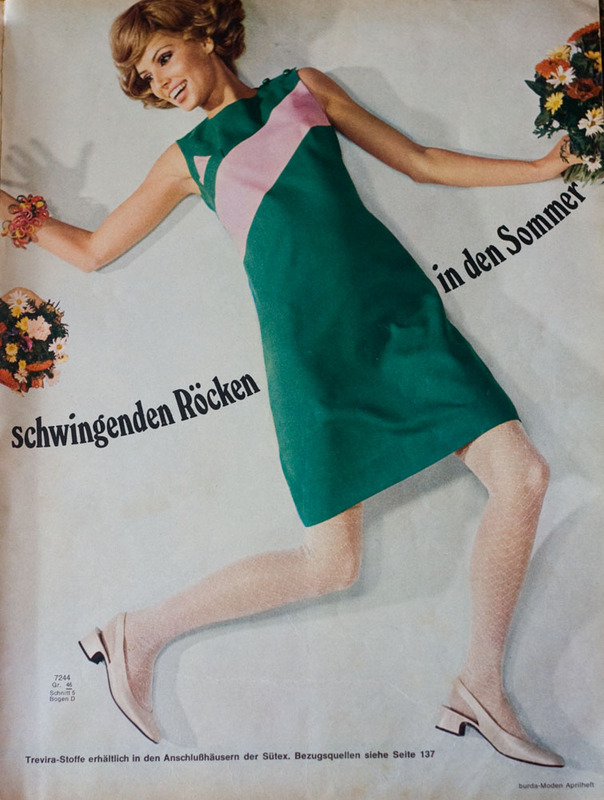 I have a stack of Burdas from about the same period, but sadly without the magazines (in an effort to save space, my grandmother kept only the pattern and instruction inserts). 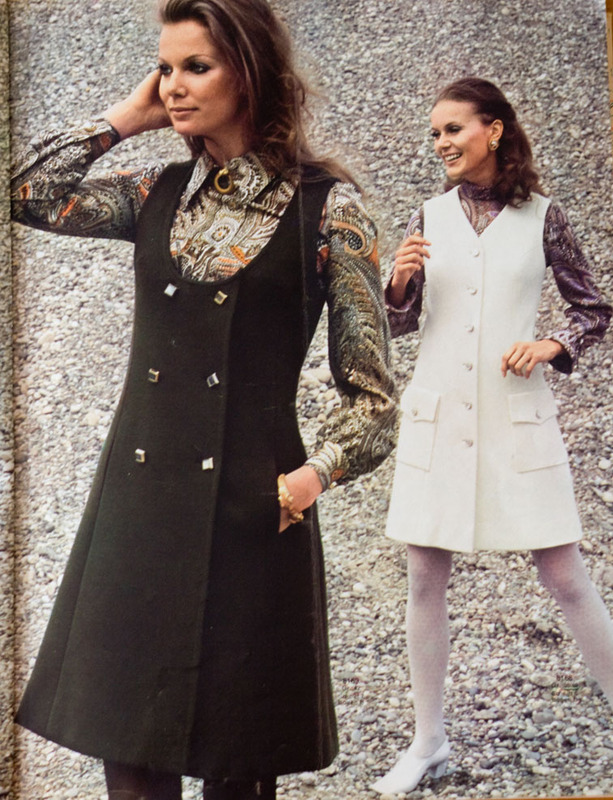 My favorites are the tweed standing collar dress and the brown scalloped collar dress. I'd really love to see what you will make. 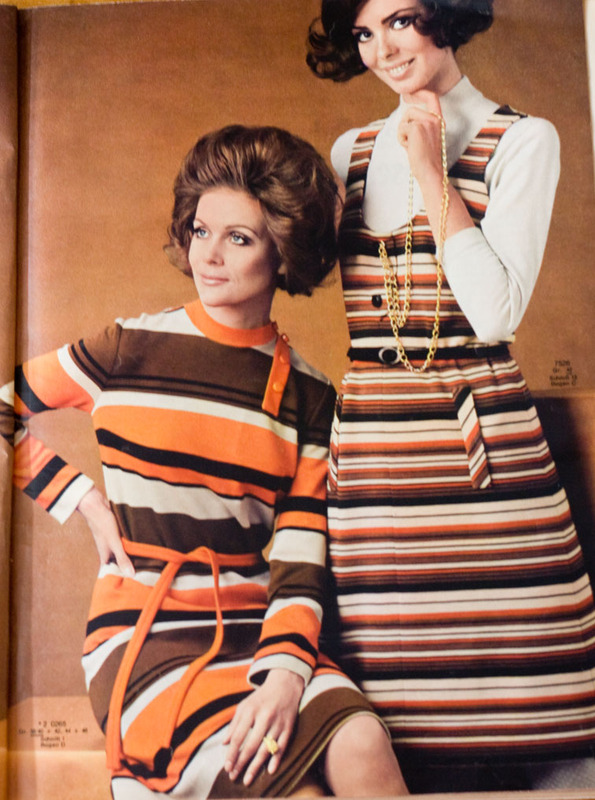 I am wild for 60's styles. my fav is the bottom right border print. And she has a matching purse! 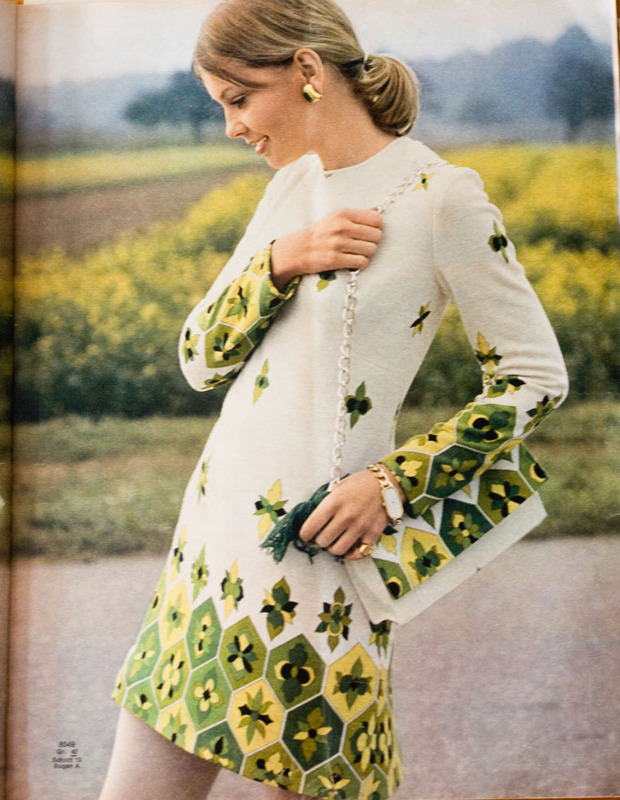 I love the 60s style! I'm oddly drawn to the coat with the fur trim on the hood and hem. 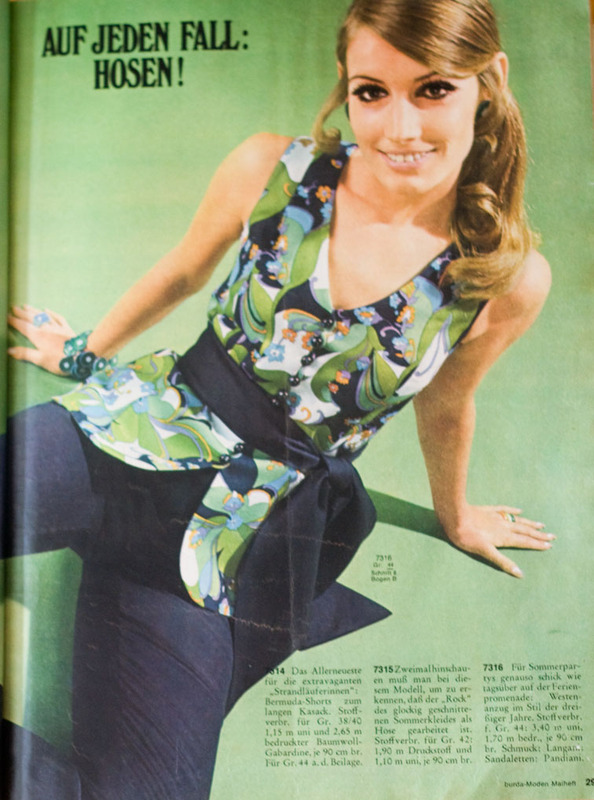 But that light blue v-neck dress I think is my favorite, and would not look out of place today! I envy you that stash of Burdas from the 60s. The dresses especially are so simple and feminine. Have fun making and wearing them! So so not fair! 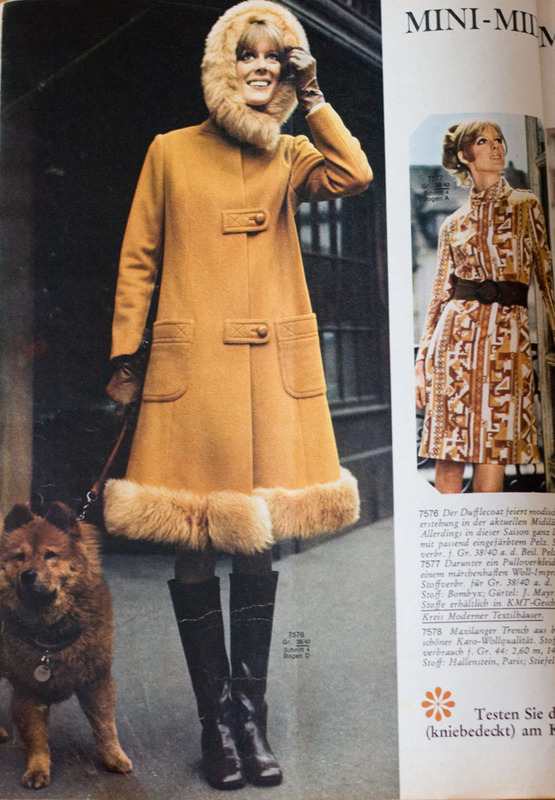 I love the hooded fur trim coat and the scalloped collar dress. The kimono coat of fab love it and what colour are you thinking of making it in. They look amazing. I love the left hand side third down picture. They are fabulous! 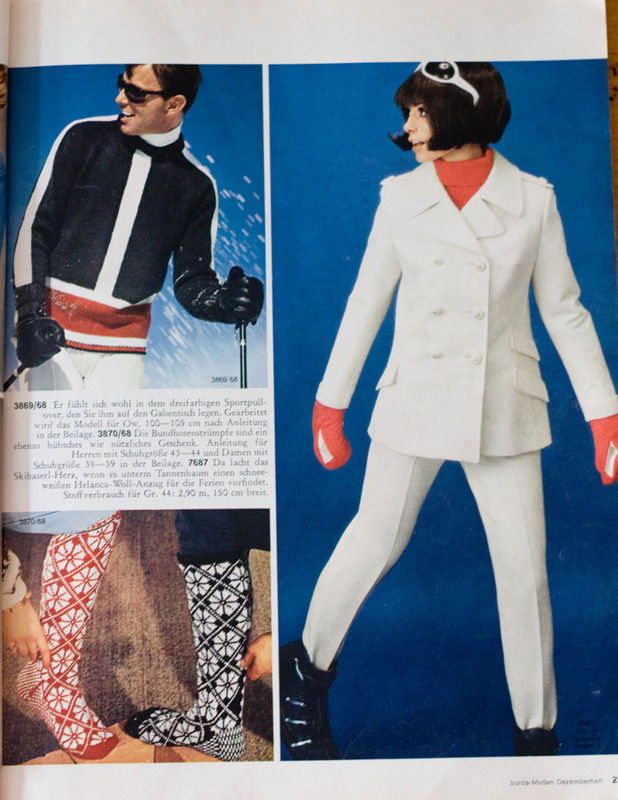 I was recently gifted a box of Burda mags but most were from the 90's, shudder, there was some bad fashion in the 90's. So nice! 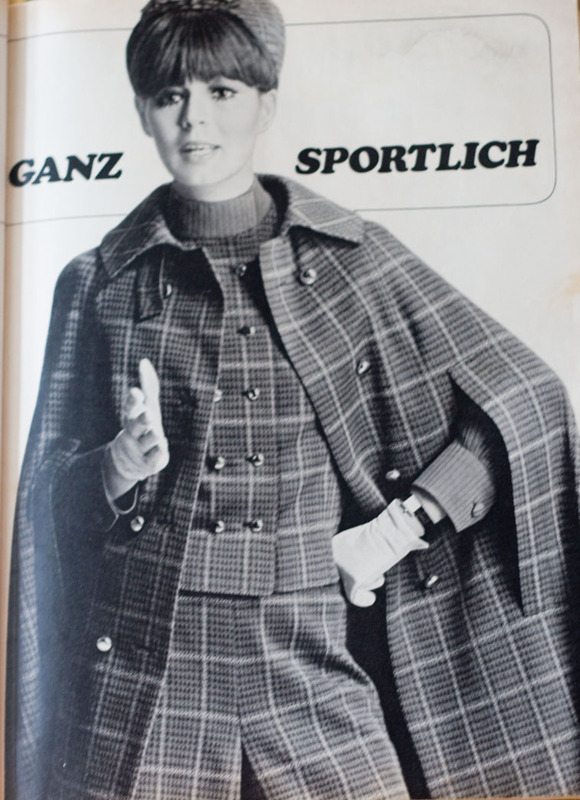 I also have few Burda's from the 60ties, I love the style, but I haven't really made anything yet. looking forward to your creations! The grey coat (red gloves) is amazing and I love the black dress in the second last photos. Would love to know which volume they're from so I can try to find it myself. What a great selection of patterns! 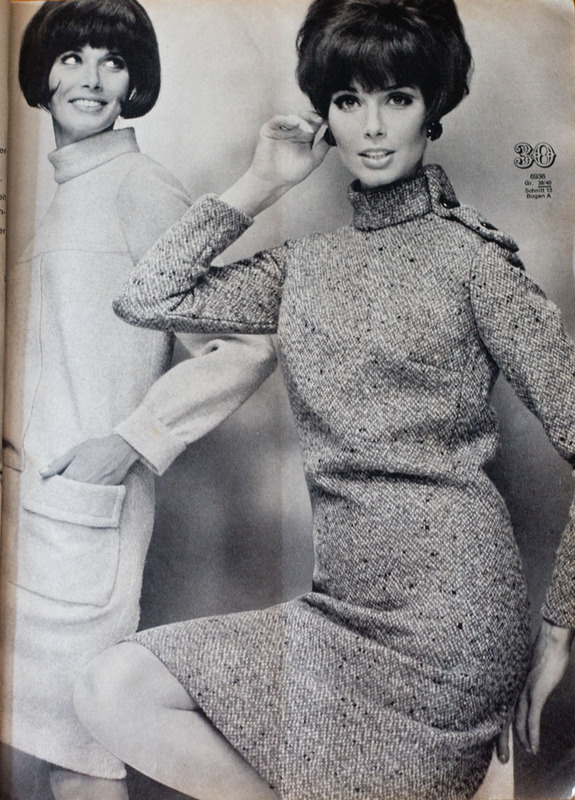 I've just started to draft my own patterns and I stumbled across your blog: it is already my new Mecca. And you're lucky enough to live in New Zealand. I went in 2009 and thought it was fabulous – I'm very jealous!